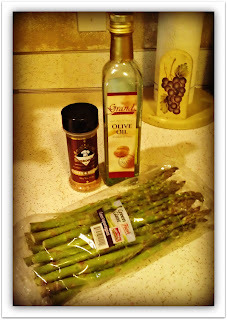 Asparagus is one of my new favorite veggies. A like I have acquired with age. My hub and mini-girl love it too! I had no idea how to cook asparagus when I first bought it and lucky for me I learned a super easy, and tasty seasoning to use! All you need is Asparagus, Olive Oil, and A-Rent-A-Chef Chef’s Secret Seasoning. I found it at Hy-vee and it was just a couple. You can use it just about anything and it’s a great friend to have in the cupboard. 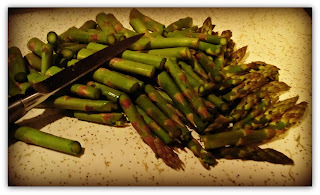 STEP 1: Cut Asparagus into Pieces – I usually cut them into thirds or fourths depending on my mood. STEP 2: Mix Olive Oil and Seasoning in Ziploc Bag – I eyeball this based on my liking. 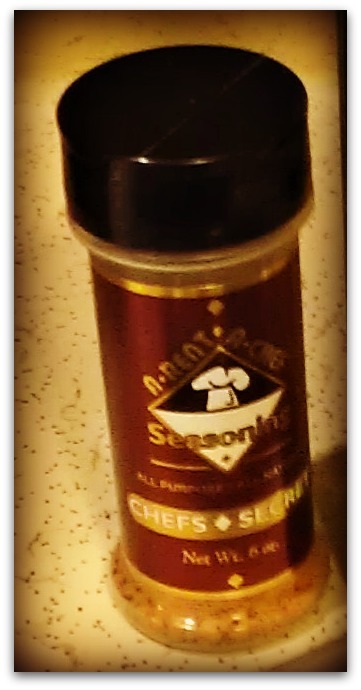 I fill the bottom of the bag about a finger nail high and shake in about 3 shakes of seasoning. How about those kitchen skills?! STEP 3: Mix it all up! STEP 4: Toss them in a pan over medium heat for about 5-7 minutes. Stir them around often so they all flirt a little together. NOM! NOM! Do you have a favorite asparagus recipe? 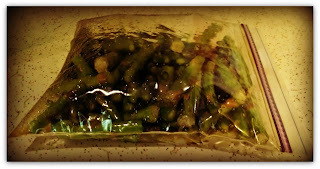 PS: About 1/2 of people complain of funny smelling pee from eating asparagus. Yup. I am one. The reason? “Your body breaks down asparagus during digestion into sulfur-containing chemicals that give your urine a distinctive odor” explains Roshini Raj, MD, assistant professor of medicine at New York University Langone Medical Center. Boom.